Community planning approaches, such as AARP Public Policy Institute’s Livable Communities Initiative (AARP, 2014), the Milken Institute’s Best Cities for Successful Aging Initiative (Chatterjee & DeVol, 2014) and the WHO’s Global Age-Friendly Cities Project (WHO, 2007) where a top–down model involves a community needs assessments. These activities are sometimes under the auspice of local government but other times originate from universities or other research, policy, service, or advocacy organizations. This method examines how a community can enhance transportation and mobility, housing and universal design, civic engagement and social participation, and access to services and supports for the aging members of their community to ensure active participation for years to come. Support-focused approaches, AFCIs that include an explicit method on creating a support-focused cluster, centered on community wide collaboration. Examples include convening local stakeholders to address service delivery issues within the community or creating a pool of community volunteers that allow neighbors to more readily help their neighbors. Two nationally prominent models of this type are Villages and Naturally Occurring Retirement Communities Programs (NORC programs). Both models share an emphasis on promoting older adults’ access to services and reducing social isolation through efforts to transform social relationships at the community level (Greenfield et al., 2015). 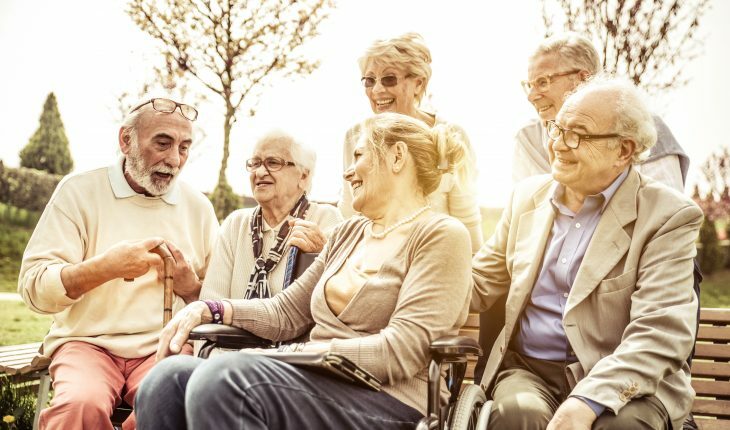 Cross-sector partnership approaches prioritize collaboration among different organizations and individuals to expand the range of sectors focused on aging. The focal mechanism of cross-sector partnership approaches is the bringing together of entities from a wide range of sectors to develop and implement locally based action plans concerning aging, which can lead to a variety of proximal objectives under this category. Examples of cross-sector partnership approaches include the Robert Wood Johnson Foundation’s Community Partnerships for Older Adults (CPFOA) program, and several grantees as part of Community Innovations for Aging in Place (CIAIP), a U.S. Administration of Aging (AOA) demonstration program, which made cross-sector partnership the cornerstone of its initiatives (Oberlink, 2014). Each of the above-mentioned models try to allow communities to provide their aging members more choices for enjoying rest of their lives in a dignified fulfilling manner. In moving away from strict service delivery methods to more collaborative, holistic approaches, age-friendly communities let their older adults receive the care they need while enabling them maintain their self-reliance. Choi, M., & Warner, M. E. (2015). Collaboration: The key to building communities for all generations (The Municipal Yearbook 2015) (pp. 27–39). Washington, D.C.: International City County Management Association. Micklow, A. C., & Warner, M. E. (2014). Not your mother’s suburb: Remaking communities for a more diverse population. The Urban Lawyer, 46(4), 729. Oberlink, M. R. (2014). Community Innovations for Aging in Place (CIAIP) Final report. CIAIP Publications.